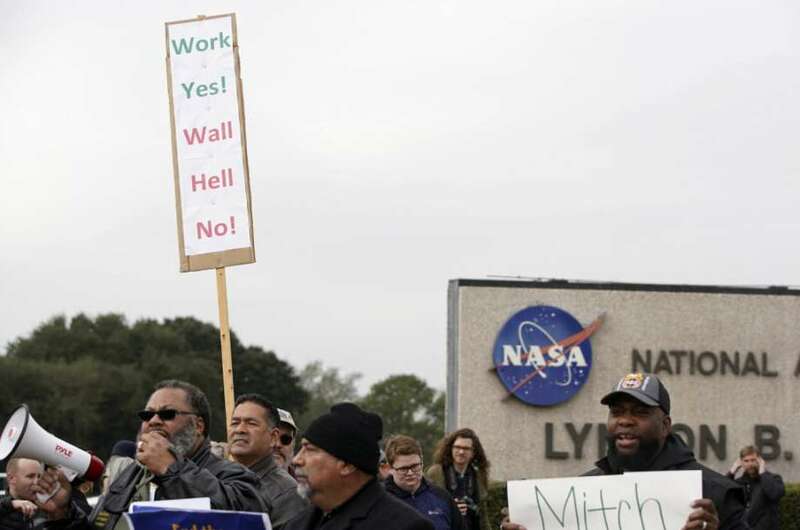 Four postdoctoral fellows at NASA’s Johnson Space Center in Houston will go without pay starting Friday as the federal government shutdown stretches into day 27. The fellows — of which there are 203 at space agency center’s nationwide — are just the latest to feel the stress of the shutdown on their pocketbooks. About 94 percent of the 3,055 federal employees at the Houston center have been out of work since Dec. 22, when the government was shuttered as President Donald Trump held firm on his demand that Congress fund a border wall between the U.S. and Mexico. Johnson is home to the nation’s astronaut corps, where human space flight research and training take place. It also is home to the International Space Station’s mission operations and the Orion program. About 200 federal employees still working at Johnson are there primarily to ensure the astronauts aboard the International Space Station remain safe. Those employees are not getting paid. NASA’s postdoctoral program offers one- to-three year fellowships to individuals, who then “conduct research of national importance” and make significant contributions to NASA’s scientific efforts, according to the space agency’s postdoctoral program website. The projects at Johnson, for example, look at sediment on Mars, chemicals in meteorites and components of the moon’s interior. The four Johnson fellows could not immediately be reached for comment Thursday. To help these fellows continue their important work, Shawn Domagal-Goldman, a research scientist at Goddard Space Flight Center in Maryland, started a GoFundMe page Wednesday. As of Thursday morning, he has raised more than $7,000. For these individuals, the situation is dire, he said.